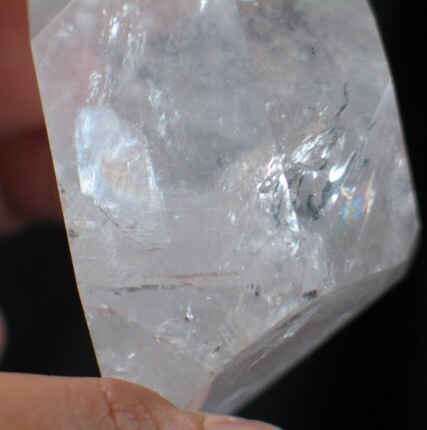 There is so much fun stuff happening in this chunky polished quartz point. Mists, veils and planes give the interior a landscape where you can search for secrets. Vibrant rainbows towards the tip highlight some real fun. Penetrating deep into the interior is a well-formed and sparkly bridge crystal. 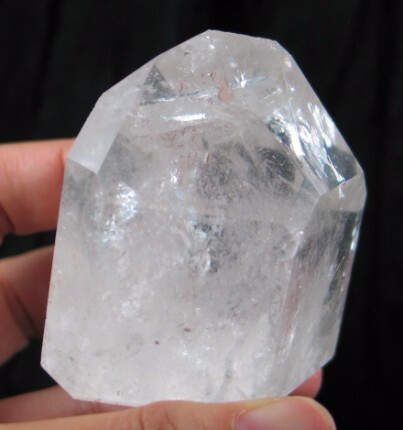 Floating on the side of the bridge is a plate shaped tabby crystal that is completely enclosed in the main crystal; this makes this a manifested quartz point! 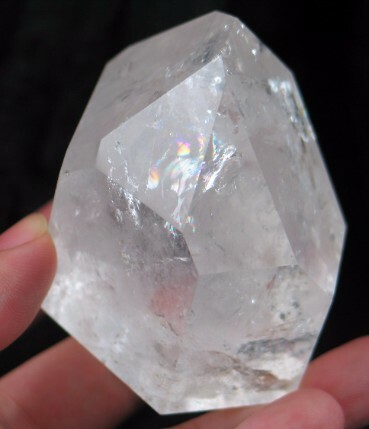 Along with the right leaning window (or future time link), this quartz is a powerhouse. What can you create with these tools? 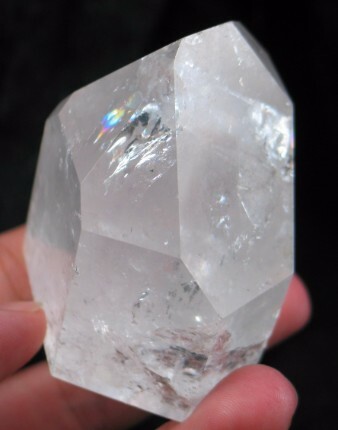 The manifestation crystal is recognized by a small crystal totally enclosed within a larger crystal. These crystals are quite rare. 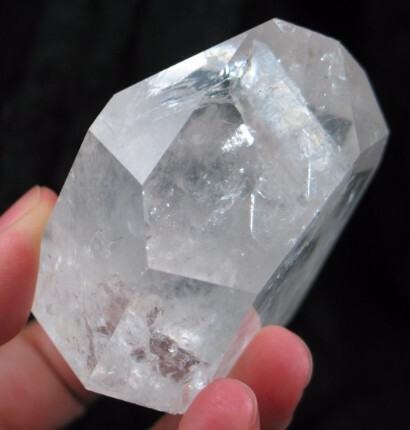 The use of the manifestation crystal requires knowledge that one is a clear and perfect channel, that a pure white light provides the guiding way, and that the purity of the Divine is within the inner self. 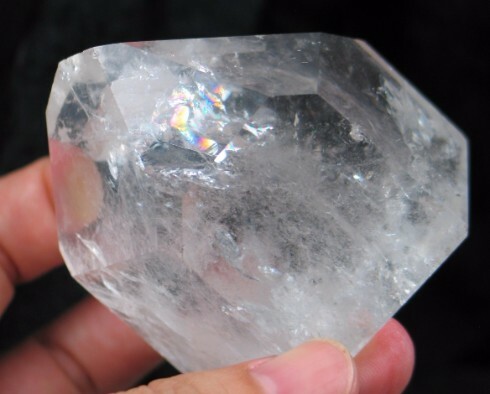 If there is something that one wishes to manifest, the relevant questions are “Do I really want this?” – “Are there reasons that I may not want this?” If parts of a person do/do not want something, the crystal will not facilitate manifestation because it is receiving mixed messages. 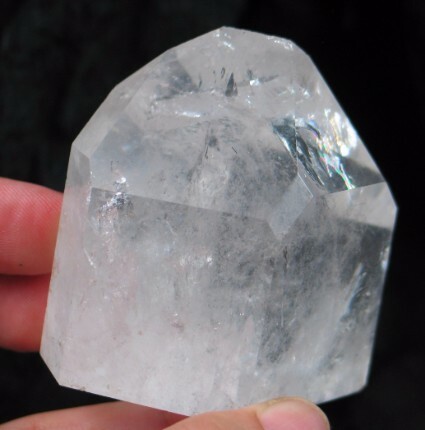 One must clear any feelings of ambivalence and inner turmoil prior to using this crystal. 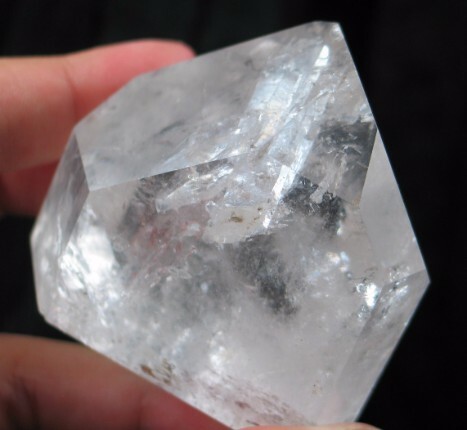 These crystals can also be used to facilitate artistic creativity, creative thinking, and agricultural pursuits. 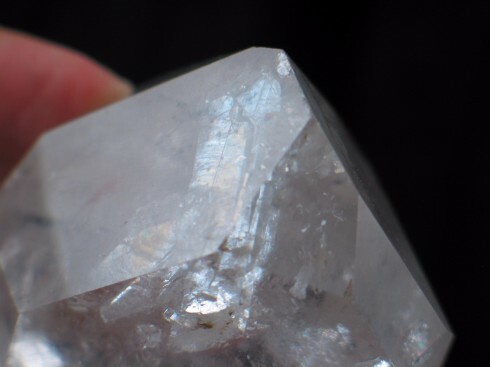 A crystal that has a smaller crystal(s) that either penetrates and/or is lodged partially into the crystal with the other part protruding from the crystal is called a Bridge crystal. 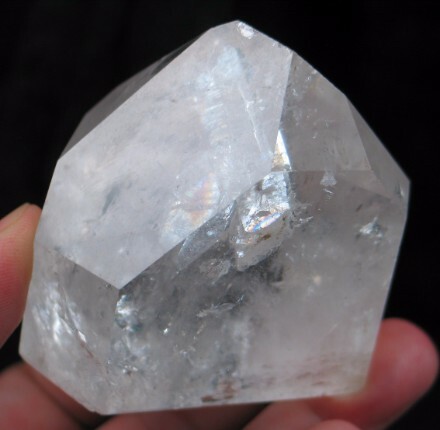 It is believed this crystal is quite beneficial when a person is striving to work with various aspects of spirituality or to heal childhood issues blocking growth. 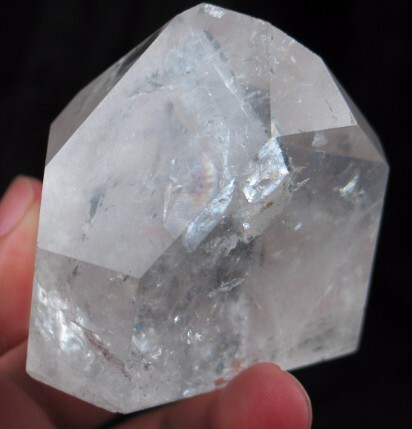 Additionally, these crystals are their best when the person is working on advanced metaphysical areas, and are attempting to share this knowledge with others seeking a spiritual path. 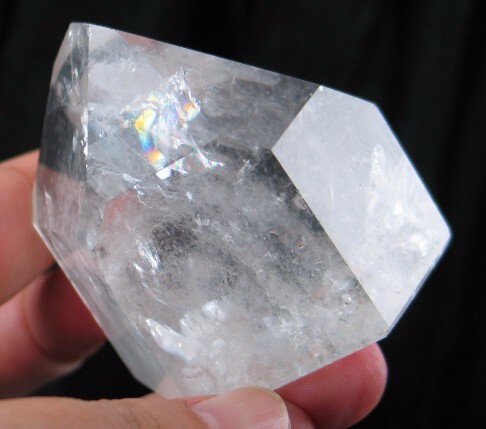 This is the ultimate spiritual teacher's crystal. 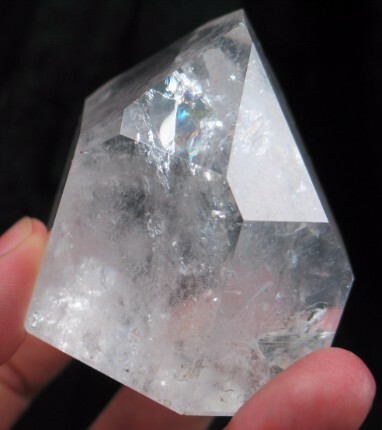 A crystal that has a right time link has a rectangular face leaning to the right adjacent to one of the main faces. 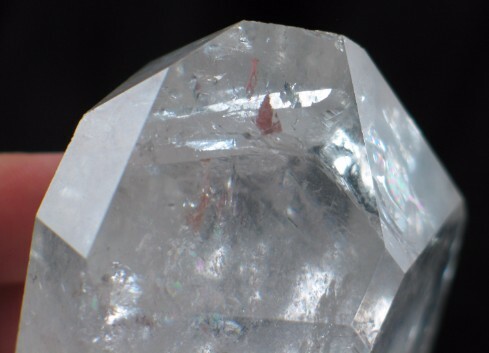 Crystals with a future time link can be used to access information from the future. These crystals also help you to understand the branching paths before you, enabling you to make an informed decision based on the possible outcomes.